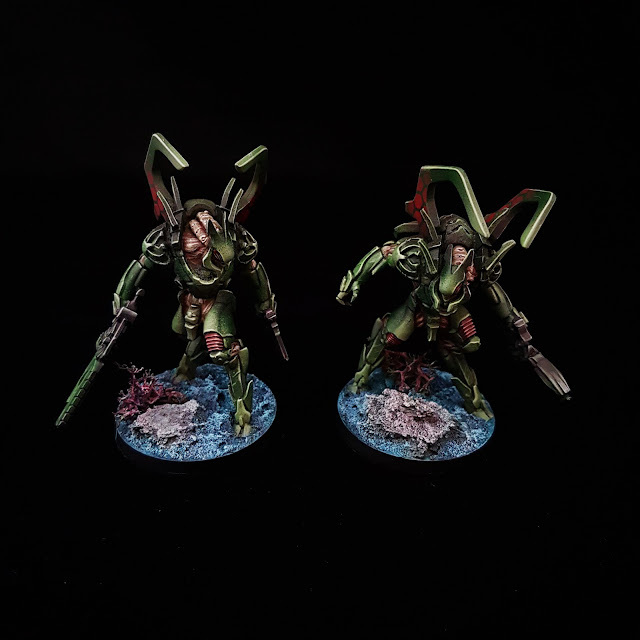 Some years ago, when I became more and more experienced in painting miniatures and tried to get better results with new techniques, I also heard a lot of talk about the usage of an airbrush for miniature painting. That caught my interest immediately! After watching quite a few videos and reading many articles on the internet about airbrushing, there seemed to be some patterns of techniques to produce some great results. I bought an airbrush set on eBay for a pretty good prize with a Harder & Steenbeck Infinity airbrush Two in One as well as a compressor and a lot of equipment. I`ve expected it would be easy. I`ve expected I would get great results with less work compared to normal brushwork. But that wasn`t the case. Things turned out differently than planned. I wasn`t able to achieve good results. 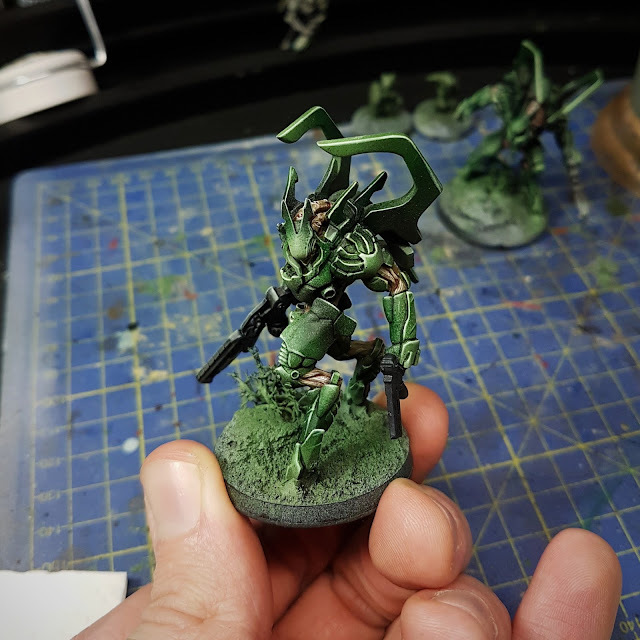 The airbrush just didn`t do the things I wanted it to do. The spray pattern was horrible. I invested hours and hours to find the right consistency of paints and still didn`t achieve good results. At the end, I sold the airbrush and continued with the classic miniature painting by the good old brush. Some month ago I was checking great artists and the way they approach miniature painting, e.g., Made by Shizune and Angel Giraldez. They both use an airbrush for impressive results. Additionally, I`ve read an amazing painting guide (which I can highly recommend!) which was full of techniques using airbrushes for stunning paintjobs. That got me motivated and inspired! In consequence, a new airbrush had to be bought: the H&S Infinity! Best decision, it`s so cool! I wanted to improve my painting further and now I found the right tool for the job. I set up my airbrush and started to paint 2 Infinity the game miniatures, the Xeodron Batroids from the Combined Army. I tried to achieve a lot of contrast with several color variations of green. After I painted all the green armor with the airbrush (from nearly black in the shadows to a light green on for the highlights), I began bringing in some details with the brush. 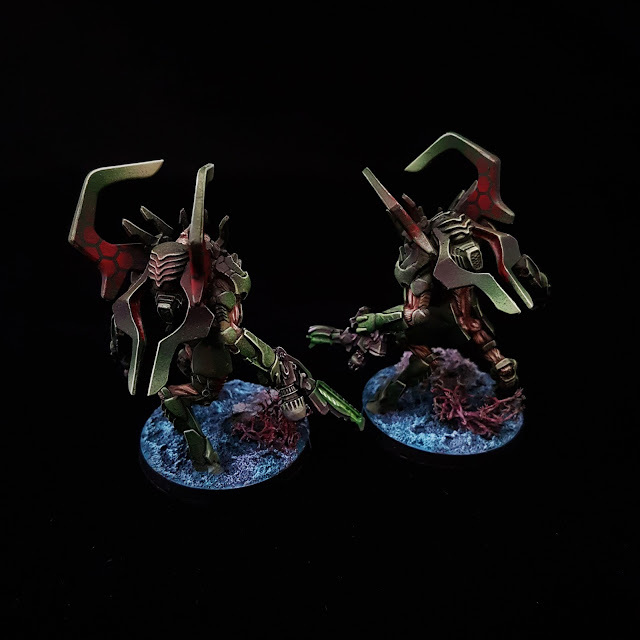 The most important thing is to consider the zenithal lights. 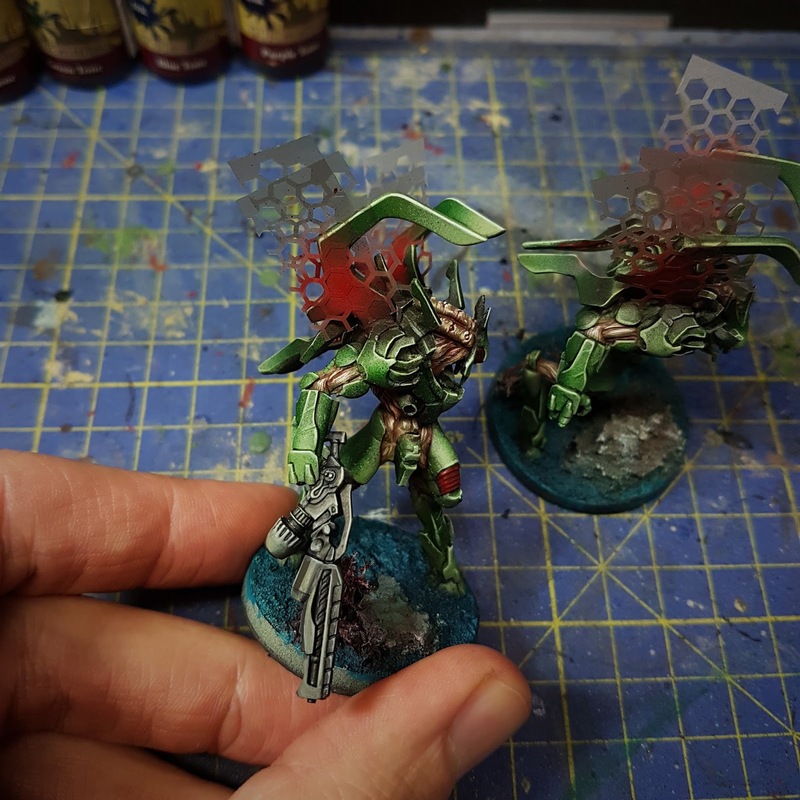 Dark-lining and edge highlighting also makes a big different -> contrast is king! I wanted to add some colors to the miniatures and chose red as it is the complementary color of green and therefore would be the perfect match! 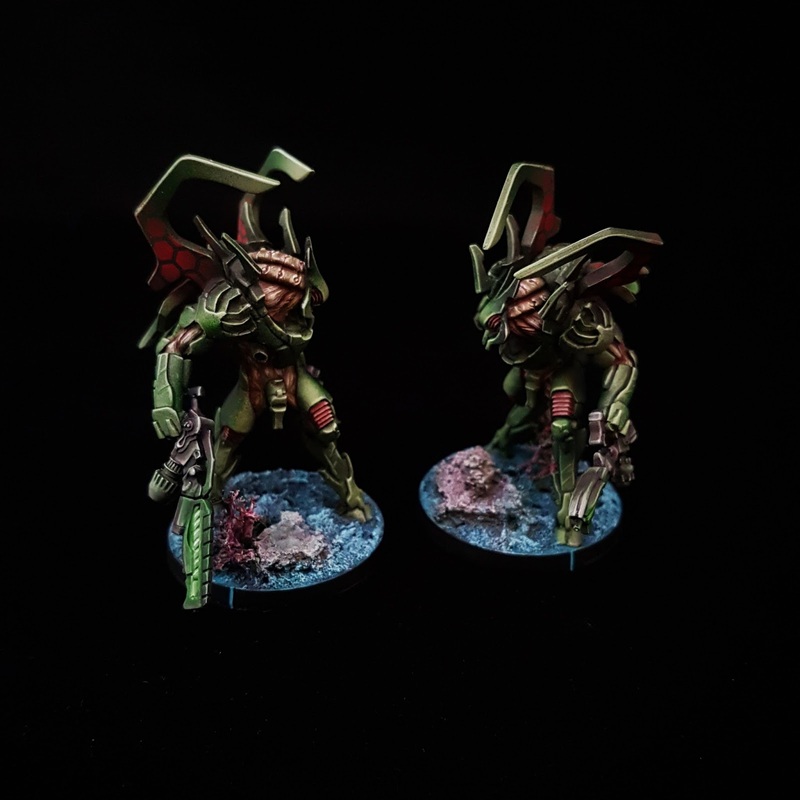 In using airbrush hexagon stencils I achieved some nice patterns on the wings of the aliens. So easy, so cool! Finally some base work and the weapon OSL and called it done! Some pictures with the Umbra Samaritans. 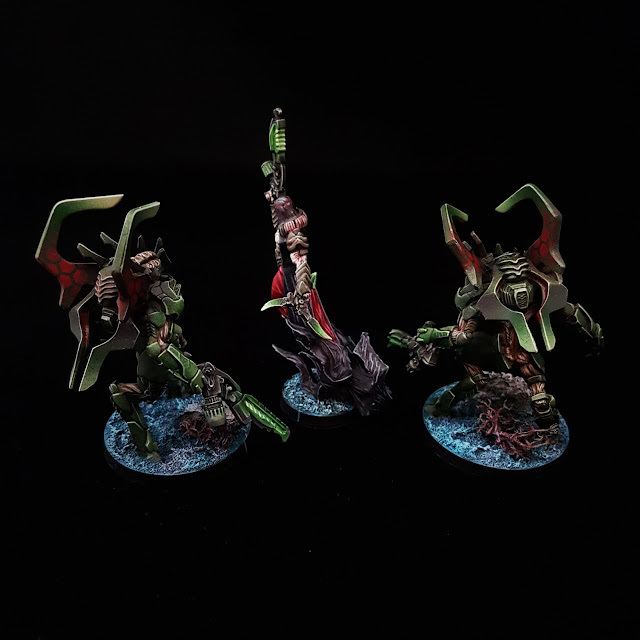 I will play them as a haris team in my Onyx contact force very soon. Can`t wait for it! 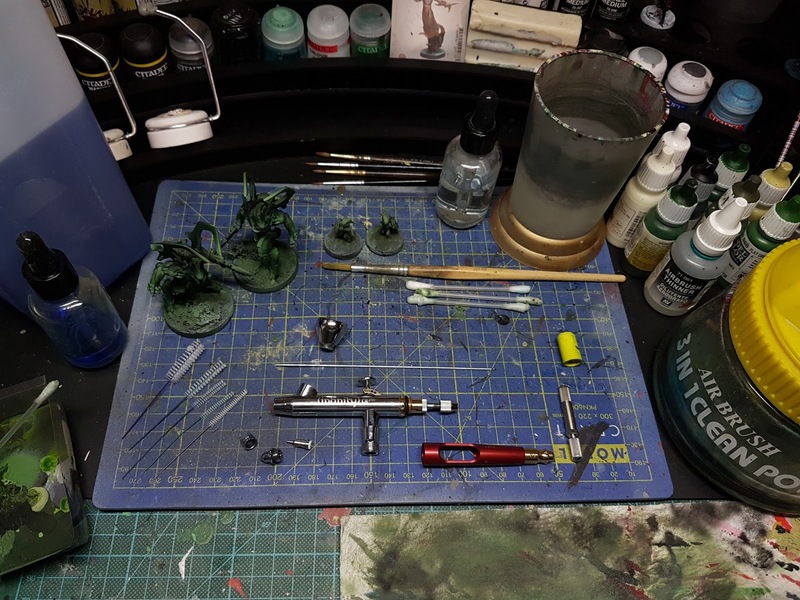 Overall Airbrushes are a great tool to have at your hobby desk. Their ability to lay down smooth coats and transitions is excellent. It just takes time to practice and the patience to do so. Don`t expect perfection at the beginning because you will be disappointed. Practice is your best teacher, and a little trial and error will grow your experience. The key is not to give up early on (like myself). 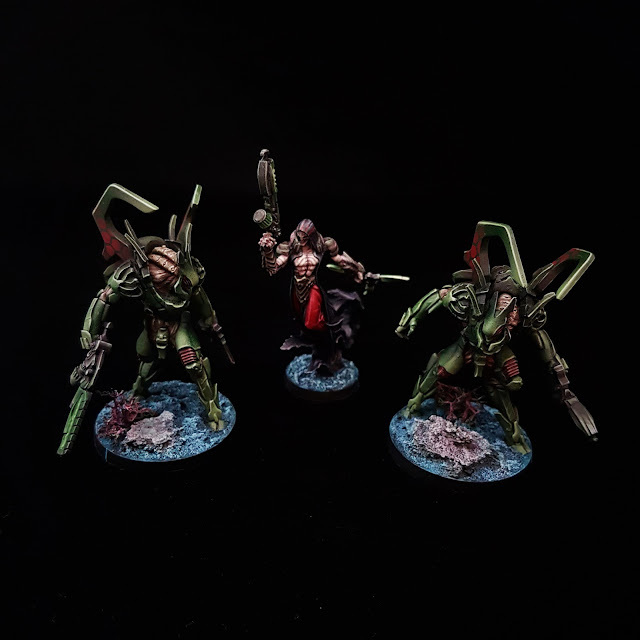 Finally, I promise you will achieve any paint finish you desire on your miniatures. Just keep on trying. Cheers!